When it was announced that the Dance Theatre of Harlem, a historic African American dance company founded by the legendary Arthur Mitchell, would tour three Indiana University campuses—IU Bloomington, IUPUI, and IU South Bend—in January, both Iris Rosa, the director of IU’s African American Dance Company, and James Wallace, director of IU Northwest’s Office of Diversity, Equity, and Multicultural Affairs, knew it would be a great opportunity for their students. 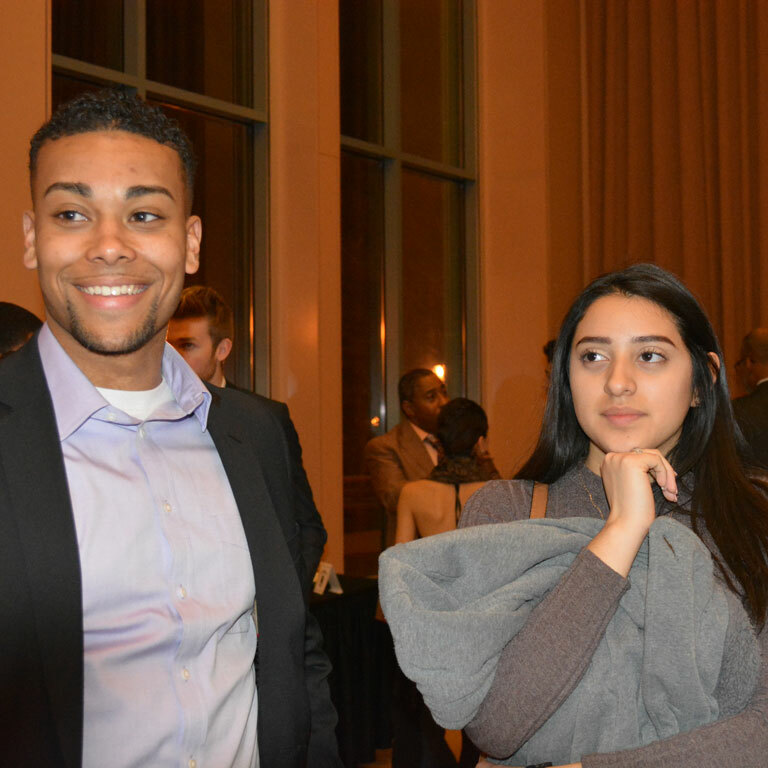 The two directors of programs administered by IU’s Office of the Vice President for Diversity, Equity, and Multicultural Affairs (OVPDEMA) had different reasons for wanting to expose their students to the ballet performance, “Power on Pointe,” held at the IU Auditorium last Saturday. For Rosa, the only director in the history of the African American Dance Company, not only could her students learn from the performance, but she had a longstanding connection to the New York-based dance troupe. Wallace, on the other hand, had the chance to connect a group of students to IU’s flagship campus. “We had some students that were really interested in dance, that wanted to come to the IU Bloomington campus and experience the IU Auditorium as a connection to the larger institution, so they can feel part of something that’s even larger than what we have and offer at IU Northwest. We do have theater and performing arts, but we don’t have that dance component and our students wanted to see that, so that’s why I wanted to make it available to them,” Wallace explained. “I thought it was outstanding. One thing that really struck me was the grace and the power of the dancers. We had front-row seats, and when we had a chance to meet and interact with them after the performance, they were all very gracious, kind, and friendly. They chose what they wanted to do at a young age, so that kind of inspired our students. It gave them more focus about what they’re doing, so they can buckle down and pursue their careers to a higher degree. I really enjoyed the meet-and-greet after the show because we got to meet new people from the Bloomington campus and other areas, and also the dancers themselves. 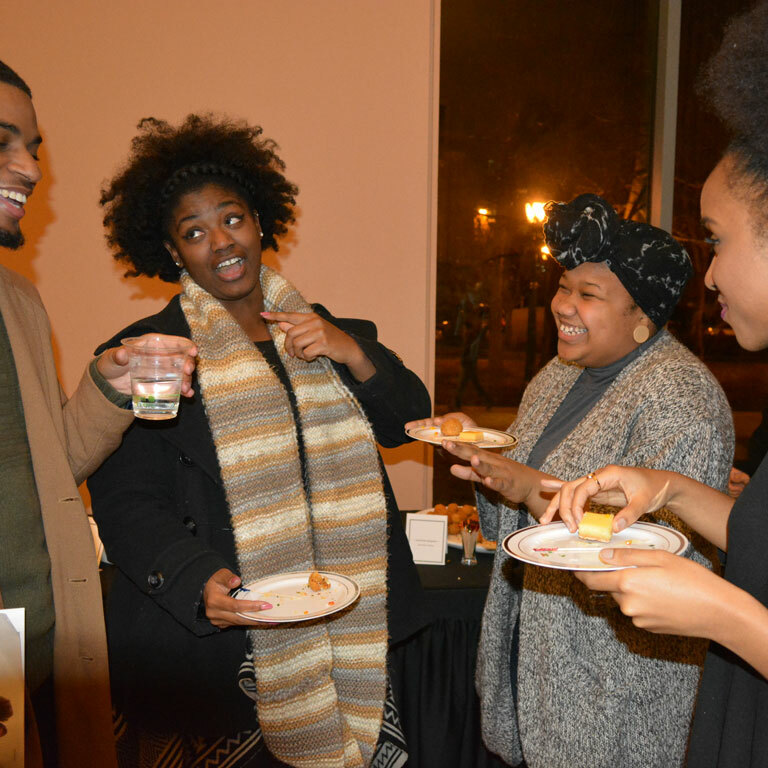 The IU Northwest students who attended the performance and a reception afterwards are involved in student organizations on campus, specifically Brother 2 Brother and My Sister’s Keeper, academic success programs that support students in and out of the classroom on the Northwest Indiana campus. One such student, Ethan Riddell, a junior business administration major, isn’t a dancer himself, but found the performance moving. “That was my first ballet or dance performance ever, so it was a really exciting experience. During the performance, what I noticed was how much power the dancers had and how much practice it takes for them to learn those skills. But the joy the dancers had is what made the whole show for me,” said Riddell, a Camden, Mich., native who transferred from Trine University and currently interns in Chicago Mayor Rahm Emanuel’s office, in addition to working a third-shift part-time job to help pay for school. Meanwhile, Jalyn Warren, an IU Bloomington freshman from Carmel, Ind., found the experience meaningful for other reasons. 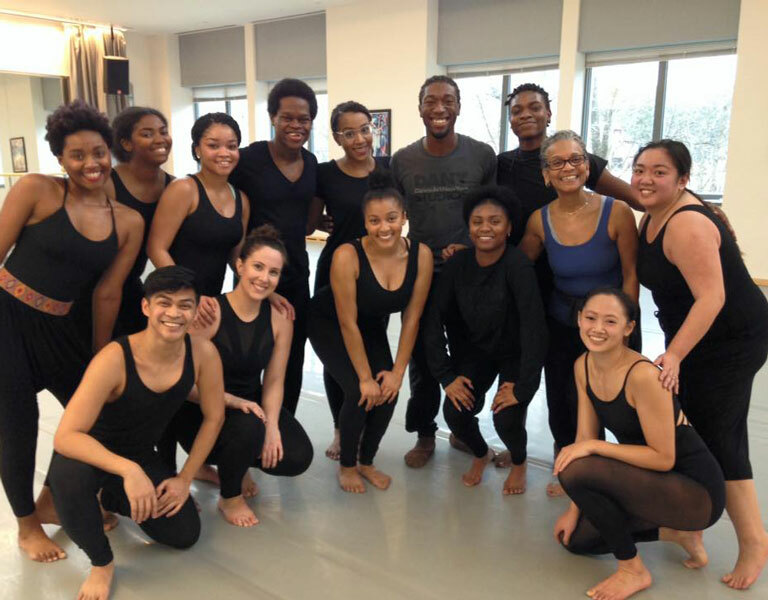 The day before the performance, Warren and the other students in the African American Dance Company participated in a dance master class led by Devon Doane, a dancer in the Dance Theatre of Harlem. “I thought the master class was really fun, just because it was a different type of dancing, whereas our aesthetic is more Afro-modern. I thought it was interesting, because it was a different perspective of dance. Even our warmup was different and that’s always fun, to have new things thrown at you because you can challenge yourself in terms of your technique,” said Warren, who had previously seen the Dance Theatre of Harlem twice before, both times in Chicago. Rosa, Warren’s professor, had a unique perspective on the Dance Theatre of Harlem’s visit. In the summers of 1975 and 1976, the African American Arts Institute studied in New York at the Dance Theatre of Harlem, thanks to a grant written by Dr. Herman C. Hudson, the founder of IU’s African American Arts Institute. “For me, it was full circle. When I knew they were coming, I wanted to give the students a little bit of history and knowledge about the Dance Theatre of Harlem, and how the African American Dance Company has been connected with it,” explained Rosa, who also mentioned that the Dance Theatre of Harlem last visited Bloomington in 1982. “When we had the dance master class, it was an hour of warmups and movement. Devon Doane was very inspiring, and he really taught the class from his heart. I think it was very inspiring for the students to hear about his background, successes, and challenges as a young, black, male dancer. “For many of the students and faculty, whether or not they are involved with dance, the performance was really inspiring. Virginia Johnson, who used to be one of the principal dancers, is doing such a great job in directing artistically the young crop of dancers. You could see the challenge, technique, and excitement in the dancers’ bodies and faces. All of the pieces, including the solo, were danced with such passion,” continued Rosa, a professor in IU's Department of African American and African Diaspora Studies (AAADS).